Chromebooks Evolved: Is A Chrome OS Phone In Our Future? Chromebooks are entering a new phase in their life cycle. Not ‘just a browser’ any longer, these devices are gaining abilities and use-cases that just a few years ago were not possible with a Chromebook. 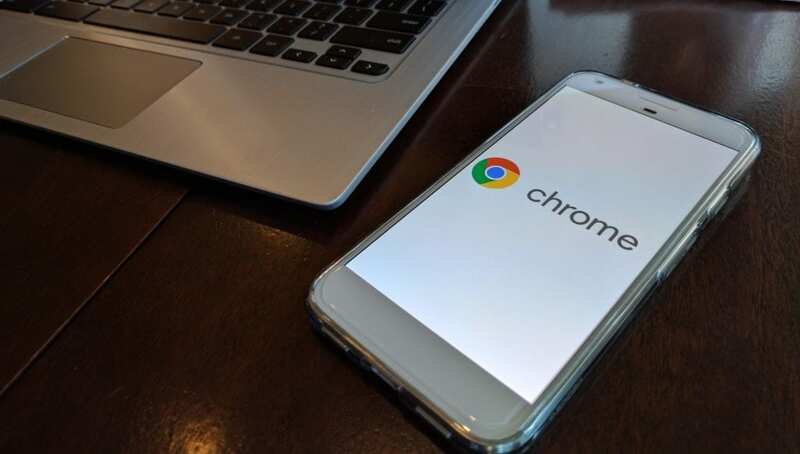 There are many factors involved in Chrome OS’ maturation, one of those being Android Apps, and many factors at play when I hypothesize the possibility of a phone running Chrome OS in our future. I want to lay out some ground rules here, first. I have no insider information and I’m definitely not saying this WILL happen. I’m only stating that it is possible and conceivable. Second, this will be an editorial (if that hasn’t already become clear by this point), so my opinions and thoughts will be used here. Mixed with facts, this piece will largely be conjecture on a possible future for Chrome OS. Now that we have that out of the way, let’s chat for a minute. There’s always been a tech dream of having a singular, portable device that does it all, right? The phone that can dock in a clamshell or desktop and function like a ‘real’ computer. Remember back in 2010 when Motorola announced the Atrix? Yeah, maybe not. I do, though. I remember being so excited that I could have a phone be a phone, laptop and a desktop all in one. Sadly, the desktop it shipped with was severely underpowered and the phone wasn’t that great either. We’ve seen other things like this, with keyboard cases for tablets, Surface Pro’s trying to be both tablet and laptop, Samsung’s new Dex platform, and even some leaked patent material from Apple showing how a phone could dock into a laptop and become the brains and trackpad. See for yourself below. We can go back and forth all day about the merits of any of these attempts. That’s not the point here. The point is, manufacturers are trying to get this type of thing right. Device convergence is real and people want it. But they want it done right, and no one has really delivered that in its fullness. Again, I’m not saying Google is moving this direction. All I’m saying is they could use Chrome OS to do it. Chrome OS is lightweight and will be capable of running a full Android Framework in tandem very soon. Once the final kinks get ironed out, Chromebooks will already be devices with two distinct OS-es working together. This allows previously unmatched flexibility. An OS for a full desktop experience (unlike the iPad Pro, Samsung’s DeX, or anything like them, Chrome OS on the desktop is much more capable), and one for the app-driven mobile experience. The future where they dual-boot isn’t necessary. They live together and will do so in more and more harmony as time passes. No need to switch between them: they will work fluidly together. Chrome OS is being readied for a smaller tablet (think iPad mini) named ‘Scarlet’ that should launch later this year. Once things are tweaked to work well on an 8-inch screen, a 6-inch phone isn’t much of a leap. Think about what will go into getting that tablet ready for release. Android Apps working well, UI adjustments for the smaller screen in Chrome OS, better multitasking, etc. If this one launches the right way, it becomes a clear step towards a phone simply from a UI/UX perspective. Progressive Web Apps (PWAs) are beginning to come into their own. This alone is a big step for Chrome OS and a big reason I could see Google begin encouraging devs to write apps as PWAs. The delivery mechanism is simpler, the need for Android is removed, and apps become far more universal. Chrome, Firefox, and Opera already support PWAs and allow you to ‘install’ them on mobile devices. Microsoft is making similar moves with its Edge browser. Apple is silent on the future of PWAs, but if they got on board, this could be the future of app delivery. The simple act of unburdening developers from having to write for multiple platforms is reason enough to root for this to happen. PWAs are ready. Between native notifications, access to local hardware and insane graphic enhancements such as WebGL, we finally have a viable platform for universal delivery. Web apps are where we all wanted them to be back in 2007 when the iPhone launched and was going to solely rely on them. Yep, if you didn’t remember, iOS didn’t have the App Store in the beginning. This is the web that webOS needed, but I digress. ARM chips are making more and more progress in Chrome OS. We still don’t really have a Chromebook running on the top ARM silicon yet, but what we are seeing from the mid-range ARM chips is encouraging. Take a look at Gabriel’s article to read more about ARM’s progression in Chrome OS. ARM gives Chrome OS the flexibility and physical size to fit into a phone motherboard. If you needed a Core i5 to get Chrome OS to be viable, this whole model crumbles. ARM is the clear path for a Chrome OS phone. Google has distanced itself from Android. Think about it for a second: if you took every Google app off your phone, would you even want the leftovers? Take that Google dialer, Messenger, Chrome, Docs, Hangouts, Allo, Duo, Google Now, Google Launcher, Gmail, etc. off your phone and see what is left. That is Android as it exists now. Everyone has their version of Android at this point, and Google is no different. We now select the Samsung, Google, Huawei, HTC, LG, or Motorola version of Android now. Google has wrapped all its services into Google Play Services and that part is not open or shared. Just because Android is on a device, it doesn’t mean Google is as well. Google has freed itself from Android and though it is the most popular OS in the world, the OS we know as Android simply isn’t without Google’s apps. Jerry Hildenbrand at Android Central wrote a fantastic piece on this recently. With Chrome OS and Android, Google can have a fully integrated OS with full control. Companies like Samsung have driven the Android ship for a long time. They sell millions of phones each year and dominate the Android phone market. However, their version of Android has always been different from Google’s. With their introduction of Bixby, they are only further cementing the fact that they aren’t interested in Google. Sure, both Google and Samsung build their phones on the same Android Framework, but these are clearly different end products. With Chrome OS, Google is the only one in control. No fragmentation. No third-party software or skins. Nothing but pure Google vision. Until PWAs come into their own, Chrome OS has Android as an app delivery platform. But as PWAs grow, this is the clear win for Google as well. They want you online, that much is clear. PWAs simply further that goal and keep us all more connected. Google’s core services are fully horizontal already. I wrote a piece last week about how good the Google experience is on the iPad. Same goes for Windows and MacOS to an extent. Google is doing a great job at delivering most of their core services via the open web, so as long as I have Chrome on a device, my apps and services come with me. And this is the point. Do you really care if your phone runs Android as long as all the apps you want and need are available and work? Nope. I don’t either. Look, I’m sure there are some of you ready to light up the comment section right about now, and that is fine. Just remember these are my musings and thoughts, not Gospel truth. I think things are lining up in a very, very unique way for Google and Chrome OS. This will all take time if it ever happens at all, but it definitely could happen. Between Chrome OS’ maturation, PWAs evolution, and Google’s ability to deliver its services basically anywhere, I can see this future happening. 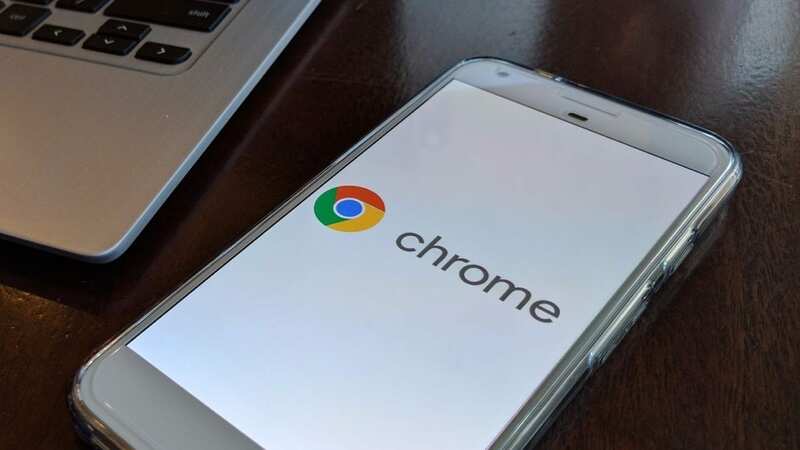 Chrome OS on a phone could be a game-changer. One device dropped into multiple setups (laptop dock, tablet dock, desktop dock) with the ability to be great across them all. It sounds too good to be true, and perhaps it is. But I love thinking about ‘what if’ from time to time. And I think this could be amazing.